Kroger is running a Buy 5 Save $5 off mega sale thru 7/24. 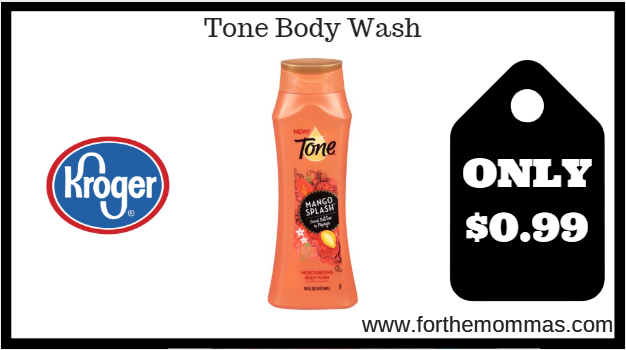 Tone Body Wash is included in the Kroger Mega Sale for only $1.99 each when you buy 5 participating Mega Sale items. Combine this price with an Ibotta rebate to make the final price only $0.99 each.